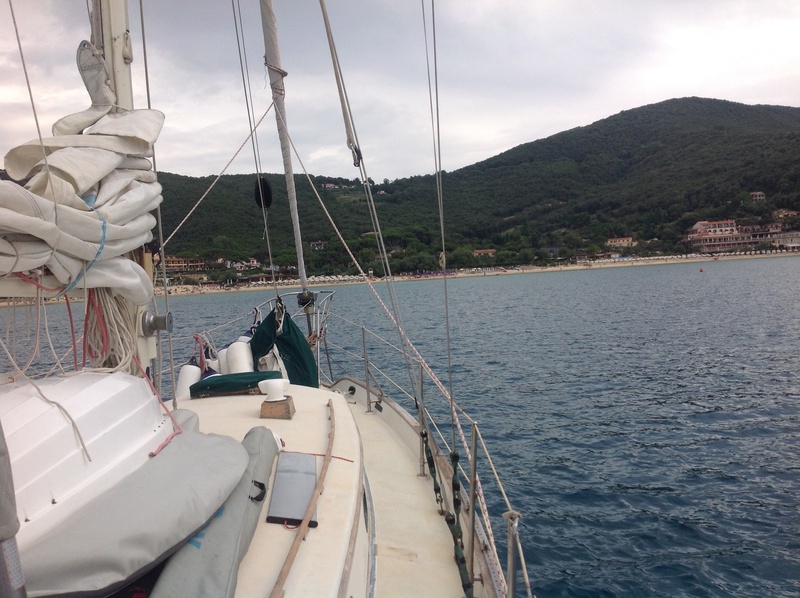 We’re tucked in to a gorgeous little bay in Elba looking at Biodola beach. 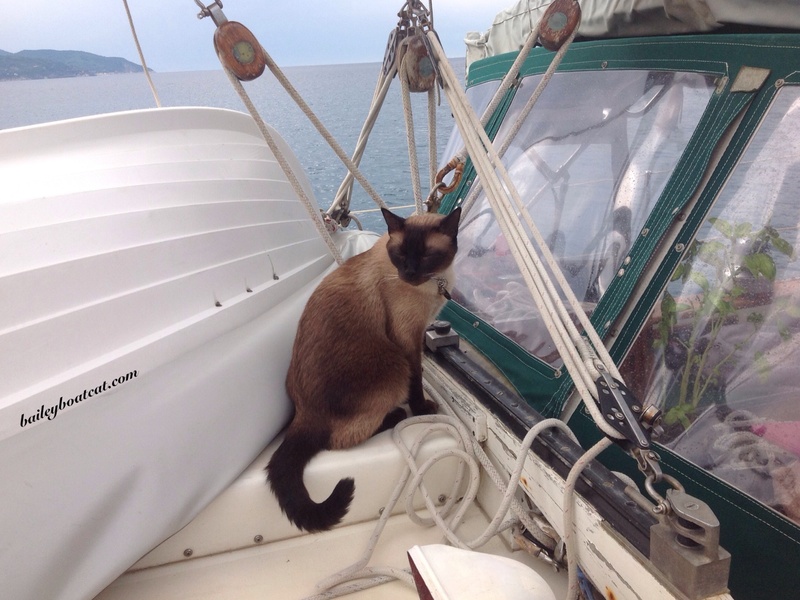 After motoring across to Elba on Caturday we spent the night in an anchorage near Cavo. Yesterday we sailed (yes sailed!) 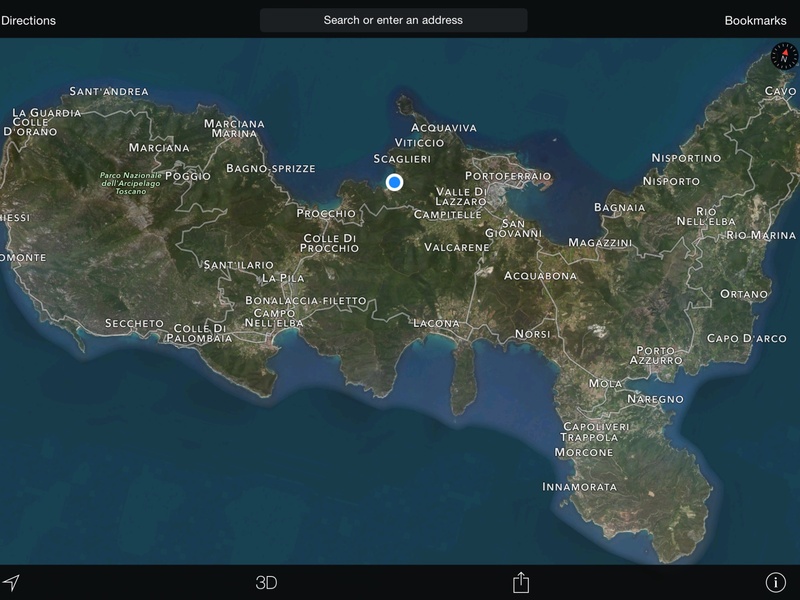 around past Portoferraio into the bay we’re in now. The weather is changing, so for the next couple of days we will be going where Mother Nature dictates and hiding from the stormy weather. We’re fairly sheltered where we are so we may even just wait it out here. Its really beautiful so I don’t mind. We’re the blue dot! My new sailing dinghy is stowed on the deck. Thank you for all your pawesome suggestions for a name. The humans are still debating but it will be me that has the final say obviously! For those of you that would like to see, my human has done an interview for Writers and Authors talking all about my book. You can read it by clicking here. I hope you all have a pawesome week. It’s always fun to know just where you and your Mom and Dad are when you’re sailing…..looks like a nice little protected port where you are. If weather is “iffy” you should be fine there until it’s perfect! Sounds like you’re having the time of your life Bailey – what more could you ask than that???!! Sending hugs to all of you……. What a lovely spot to hang out, Bailey! I’m going over to read your human’s interview right now. Wonderful – sailing properly again at last. What, no pictures while under sail? Fmmmff. Excellent interview! So exciting! I love how your Mom was approached to write a book about you, B. That’s the best! That’s quite the trip you’re on, Bailey. Have fun. Looks like a fun place to hang out!